Day 3: I went to Pangong Tso lake. To be honest, I had heard so much about this lake. Every blogger has posted its pictures. It has been featured in movies like 3 idiots, Dil Se. There is a bridge that comes on the way where Jab Tak hai Jaan was shot. But my impression- No. Not worth so much of effort. I left at 9 in the morning and drove for 5-6 hours (very bad roads). Then I saw this lake. Yes, it is beautiful, majestic and very picturesque. I got some pictures clicked, stayed there for 15 minutes and started my journey back. I was like- "Really? That is it?". The taxis in Leh are expensive. For this day trip, they charged me Rs.8000/- (after 10% discount). Well, if you really want to strike it off in your to-do list, and you MUST go, then you may plan it. But for me, it was not worth so much effort. The much famous Rancho school is not on Pangong lake. In fact, it is very far from it. On the way back, I went there too. The school was closed and I could only see it from outside. Hemis monastery was nice and worth the visit. It is not very far from Leh. 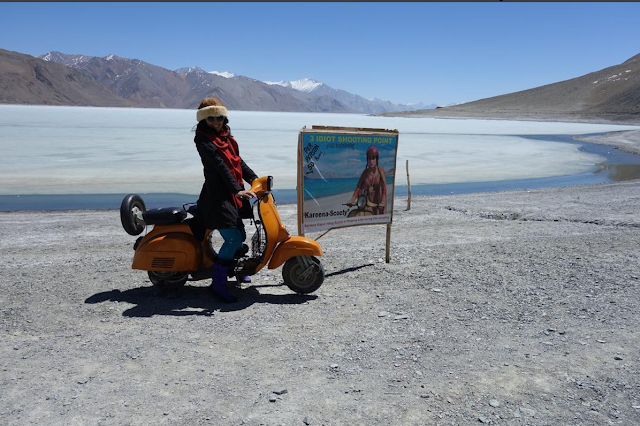 So once you are in Leh, bearing low oxygen levels, loss of appetite, no connectivity on mobile phones, no wi-fi, lots of direct sunlight, that dries and burns you, dehydration and dryness, bad roads, bad cars (they are not four wheel drive), then you might as well visit it. Bridge where Jab Tak hai Jaan was shot. These are pashmina goats. This is where you get your pashminas from.